Living my life with ESTEAM! What a great time I had in my recent interview with the lovely Leah Cannon from the Life Science Network about How I Got My Job! Leah is part of the amazing Life Science Network which is a forum for life science executives, scientists, entrepreneurs, investors and media professionals to come together for easy communication, to make new connections and find new ways to collaborate. I was so excited to be asked about my career as my journey has been a diverse one from crawling through the muddy waters of Moreton Bay in my PhD research, to working in many different and interesting roles in the Queensland Government (including everything from hostile stakeholder meetings, product testing of prawns and pearls to TV appearances and overseeing great teams and Statewide priorities) to now running my own business specialising in visual and creative communications. As a marine ecologist, artist and writer my ‘job’ today is all about following my heART and no one day is ever the same, which I love! I now get to work with people, teams and organisations to help “Picture your ideas” as a graphic recorder. 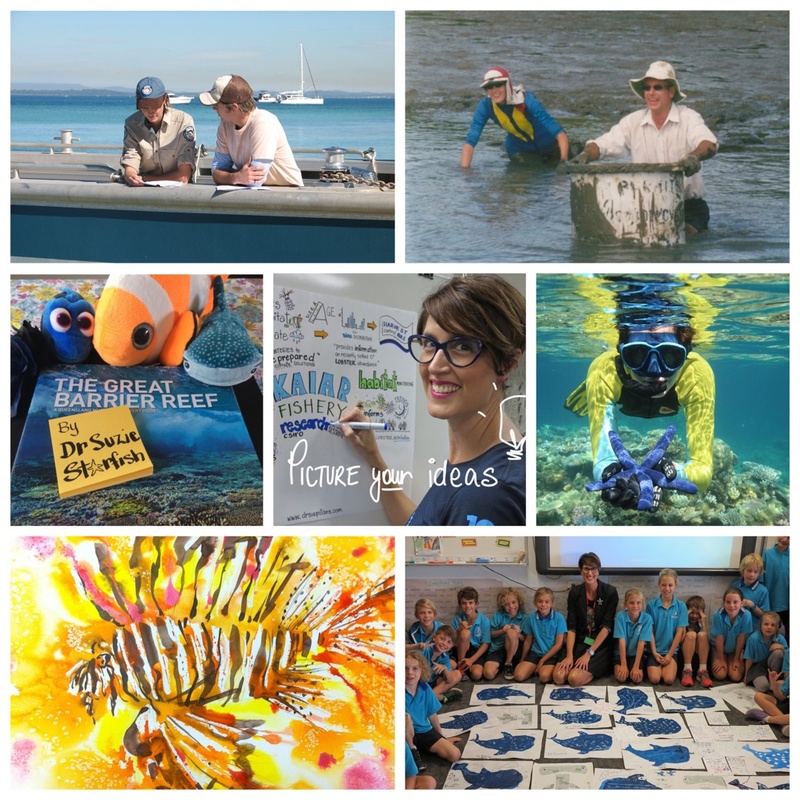 I combine my love of art and science to bring the nature of our Living Oceans into classrooms through my creative education and visual storytelling. And as I have always been drawn to the ocean I am now writing and illustrating a series of kids picture books about the wonders of our underwater world! It really is the #bestjobever! I am doing all of this by living my life with ESTEAM (Entrepreneur, Science, Technology, Engineering, Arts, Mathematics) as I have turned something I love into something I live! I hope my story inspires others to follow their dreams and live their life in colour! A BIG thank you to the special people in my life, the mentors throughout my career and in my business today for always believing in me and encouraging me to follow my heART. You can read more about how I use the Art of STEM with kids, students and schools. You can also dive in and follow my creative journey via my alter ego Dr Suzie Starfish on Facebook and @suepillans on Twitter and Instagram. Who is that person with the muddy tub? And the LEI star fish is cool too. Good times in the mud Dirko! And what a trip to LEI, aka. Lady ‘Excellent’ Island!